We are frequently asked a number of questions about our practice areas and how the law affects your rights. We have set forth a few of those questions, along with our answers, on this page. If you have more questions, feel free to contact us. Do I need a lawyer for Probate Court? A lawyer is not necessarily required to go through the Probate Court process but we highly recommend legal assistance, espeically if any aspect of the estate is contested. Even in simple estates there can be many required forms and steps to complete an estate, and a Connecticut estate tax return will need to be filed to evidence that you do not owe estate taxes. What do I need to do to buy or sell a home? Real estate transactions can be complicated. We recommend that you engage an attorney at the beginning of the process, before you sign any contract, including a listing agreement with a realtor. Your relationship with your attorney should be documented with what is known as an engagement letter, setting forth what the attorney's role is and the fees for the services. I heard about a Power of Attorney. Do I need one? Many people think they only need a Power of Attorney ("POA") if they are very sick or disabled. Actually, that would be the worst time to try to make this type of decision. In addition to a will, a POA is one of the most important facets of a good estate plan. 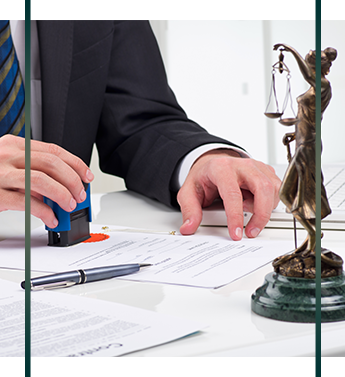 Usually a special type of power of attorney, known as a "durable" power is used. The durable power of attorney stays in existence, and can be used, even after a person is no longer competent, often avoiding the need to have a conservator appointed. Often a durable power is given to a spouse and another power of attorney is given to a back-up person in case your spouse dies or is incapable of acting under the original power. Any of the attorneys at Griffin, Griffin & Mayo, P.C. can review the pros and cons of a Power of Attorney with you.